DaVita Clinical Research (DCR) came to SCORR for assistance expanding awareness of its capabilities. 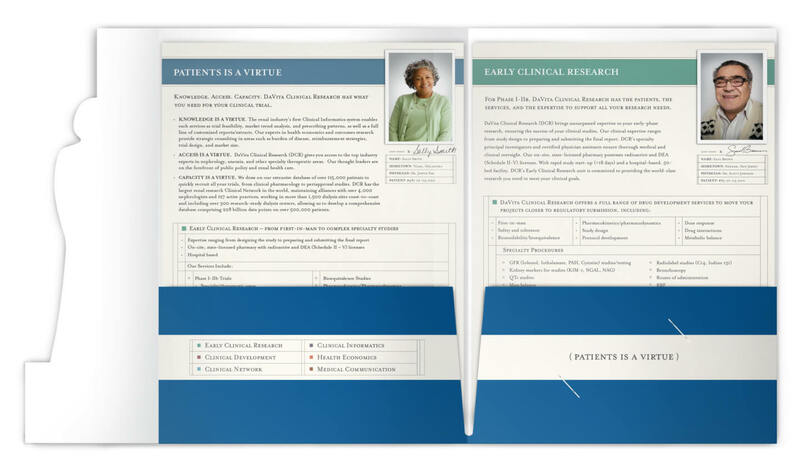 DCR had been operating as a clinical research arm for years for DaVita Inc., and was interested in seeking external partners. 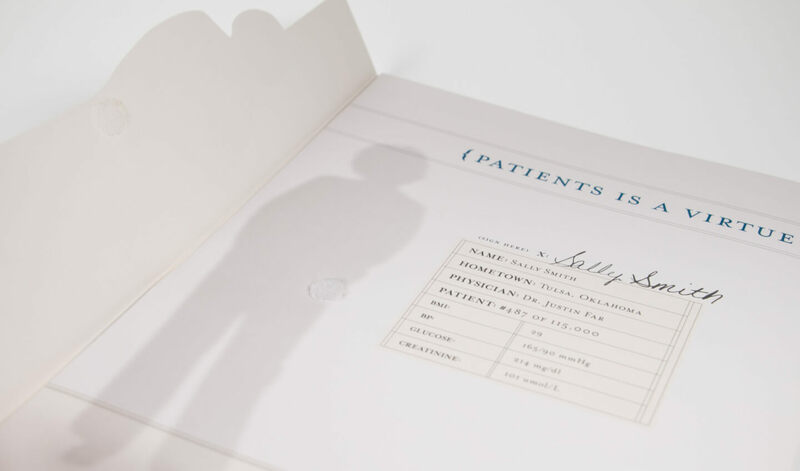 Through its market research services, SCORR discovered that the industry was unaware DCR existed and that there was an opportunity to establish it as a leader in clinical research and development for kidney/renal compounds and procedures. 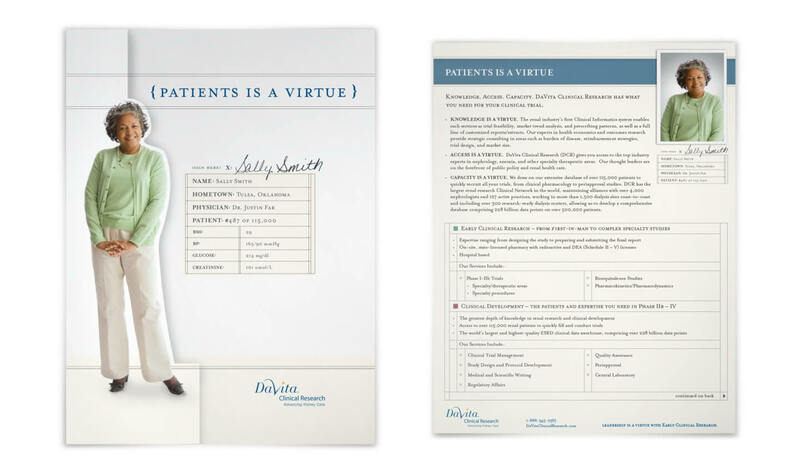 After identifying key strengths through research with clients and stakeholders, SCORR developed the “Patients is a Virtue” concept, an idea that showcased DCR’s unique advantage: unequaled access to patients and data. As part of the campaign, SCORR developed a sales brochure that company representatives could use at client meetings and trade shows to pique interest and increase awareness of DCR’s services. 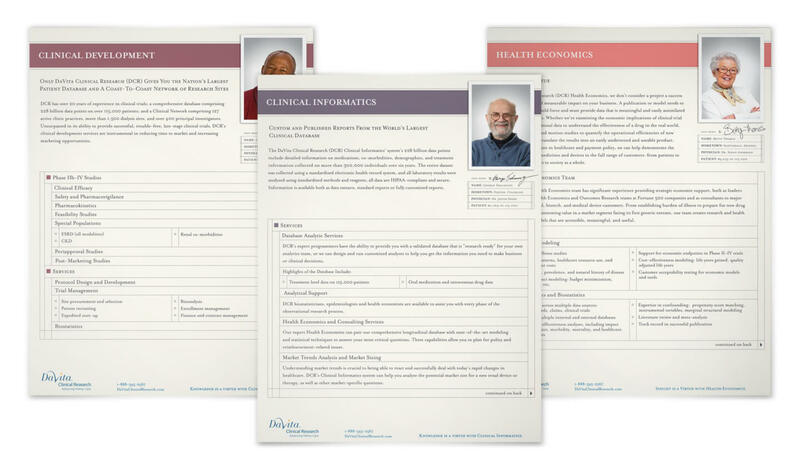 Due to DCR’s broad and ever-evolving range of capabilities, SCORR created a series of insert sheets to communicate DCR’s services and benefits. 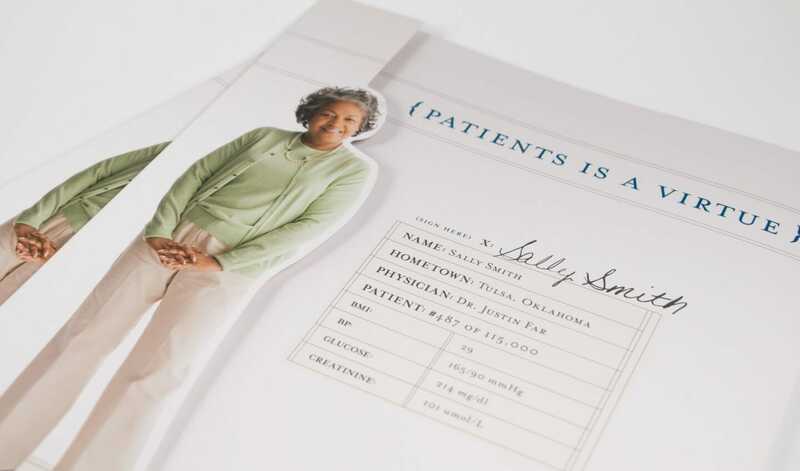 The inserts provided DCR the flexibility to develop additional inserts when its services changed or expanded and to present customized information to clients.